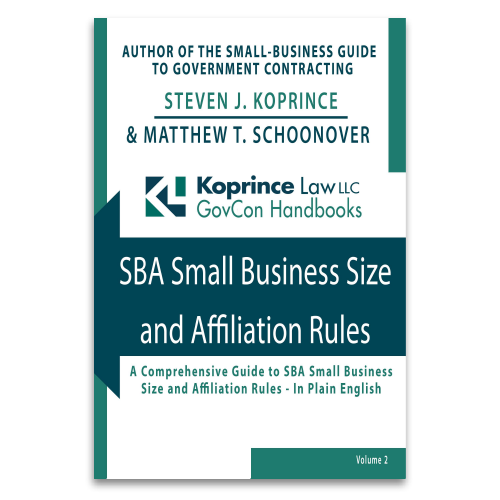 Includes decisions of the SBA Office of Hearings and Appeals, including size appeal decisions, service-disabled veteran-owned small business appeal decisions, NAICS code appeal decisions, and women-owned small business appeal decisions. When you hear “15 days,” what’s the first thing that comes to mind? Perhaps, you pay your employees every 15 days. Maybe your birthday or favorite holiday happens to be in 15 days. Or if you’re like me, you might think that 15 days is two days fewer than Thirteen Days, a great movie about the Cuban Missile Crisis. Whatever your brain conjures up, don’t forget this: 15 days is the time limit to appeal an SBA size determination. Period. And nothing the contracting officer says can change it. 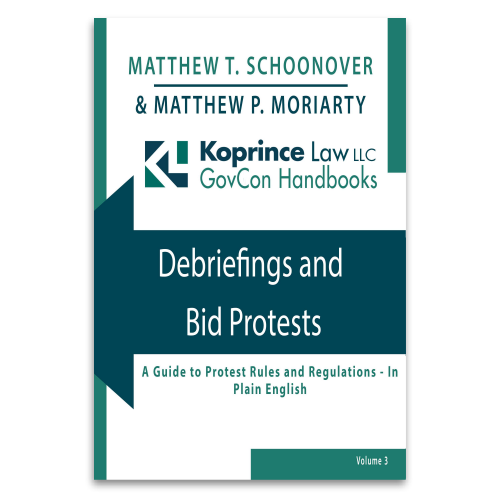 Generally, a size protest must be filed within five business days of when the protester receives notice of the identity of the awardee. But there are some nuances to this rule, such as whether a corrective action will extend the deadline and whether the clock starts running upon notice of the prospective awardee or the actual contract award date (Hint: notice of awardee). But when does the 5-day protest period start to run in the context of a Blanket Purchase Agreement issued under a GSA Schedule contract? A recent SBA Office of Hearings and Appeals decision is a reminder that the award of a BPA does not trigger a new 5-day period to file a size protest. As we’ve noted here on SmallGovCon, appealing the assignment of a NAICS code for a solicitation is often successful. But the time frame for doing so is short, and there are other procedural limitations. Given the short deadlines and procedural hurdles, are there any signals to help identify when a NAICS code appeal might be in order? Recently, SBA’s Office of Hearings and Appeals provided some guidelines in discussing the assignment of NAICS codes in the Computer Facilities Management Services, Research and Development, and Engineering Services codes. If you’ve ever responded to an SBA size protest, you know that the process is quite involved: SBA will require your company to provide a complete response to the protest (including production of corporate, financial, and tax records for all implicated concerns) within only a few business days. The consequences for not providing all of the requested information can be quite severe, as the SBA can presume that the responsive information would demonstrate that the concern is not a small business (through its “adverse inference” rule). A recent OHA appeal shows the dangers of failing to adequately respond to a size protest. In Size Appeal of Perry Johnson & Associates, SBA No. SIZ-5943 (2018), the OHA affirmed the SBA’s reliance on an adverse inference and, as a result, found the protested company was not an eligible small business. The SBA takes its SDVOSB joint venture requirements very seriously, and even a relatively minor deviation or omission can be enough to render a joint venture ineligible. Time and time again, the SBA’s Office of Hearing and Appeals has shown that it will strictly enforce the rules governing SDVOSB status. OHA’s stance on SDVOSB joint venture agreements is no different. A recent OHA ruling reinforces that SDVOSB joint venture agreements must abide by the letter of the regulation when it comes to required items in the agreement. While the SBA’s Office of Hearings and Appeals hears appeals for many of the SBA’s programs, there are certain decisions that remain outside of its purview. As one protester was surprised to learn, among those items outside of OHA’s jurisdiction are appeals of the HUBZone status determinations. Ordinarily, a company isn’t affiliated with the affiliates of its affiliates.